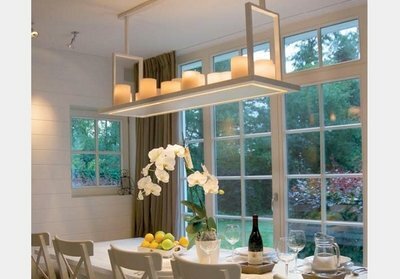 Are you looking to buy pendant light design? 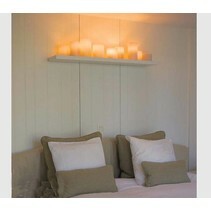 Look at this pendant light design LED vintage white, bronze 14 candles! 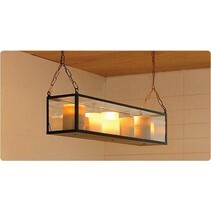 This pendant light is very rustic and is an added value for your house! 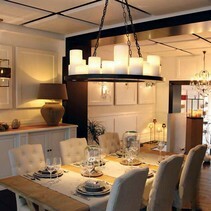 Are you interested to order this pendant light design LED vintage white, bronze 14 candles for above your dining table? Continue reading then. 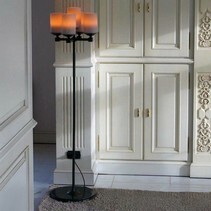 This pendant light design LED vintage white, bronze 14 candles is a real piece of art for your interior. 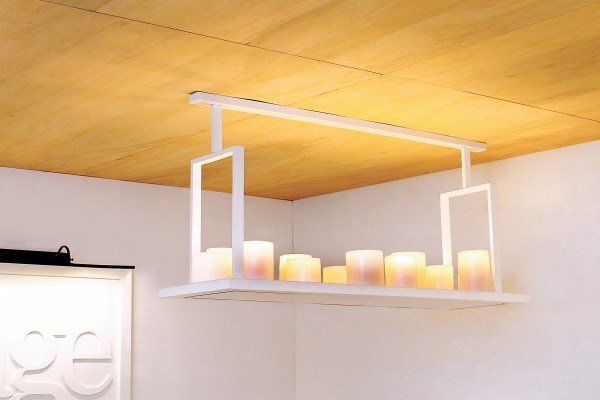 It has a downward and upward light beam and can be set in this way that you only can adjust a downward or upward beam, or of course a combination. 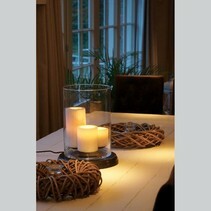 For example, for a cosy supper, you could only use the candle houses and dim them. That makes the atmosphere very intimate. 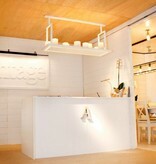 The plateau is made in cast brass. 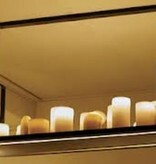 Upside are 14 wax candle houses with each time 2x1W LED module. 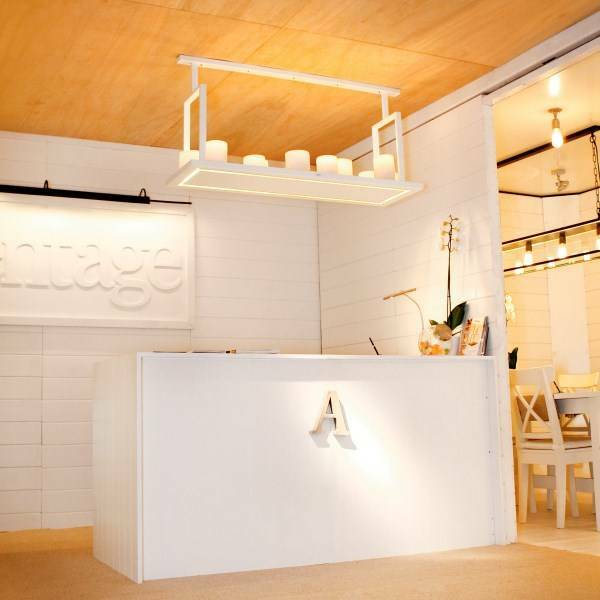 The big advantage of this pendant light design LED vintage white, bronze 14 candles is that these "candles" are dynamic, this means that the light inside the candle house moves. 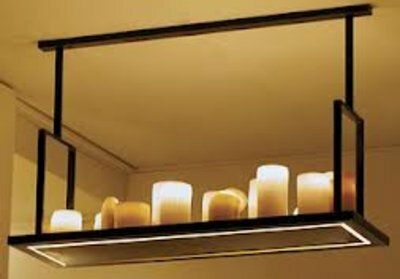 You can dim the candles (by using the button on the plateau) or you can make them static. 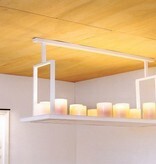 Below the pendant light design LED vintage white, bronze 14 candles is an integrated ledstrip. 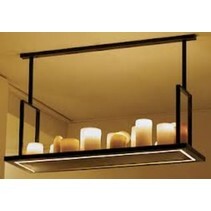 This has in total 48W and is also dimmable with the button upside the plateau. The number of Kelvin varies from 2200 to 2700 Kelvin. 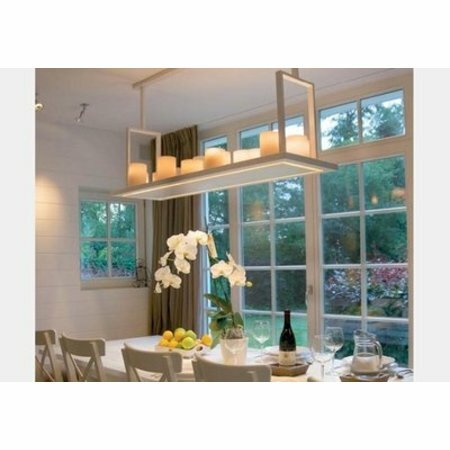 The dimensions of this pendant light design LED vintage white, bronze 14 candles are : height 40cm (plus an adjustable height of 0 to 80cm via the rods), width below 40cm, width above 25,5cm, length 140cm. 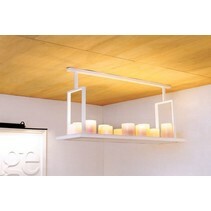 You can order this pendant light design LED vintage white, bronze 14 candles in white or bronze. It is also available in other dimensions (125, 160 or 180cm) or in static version. 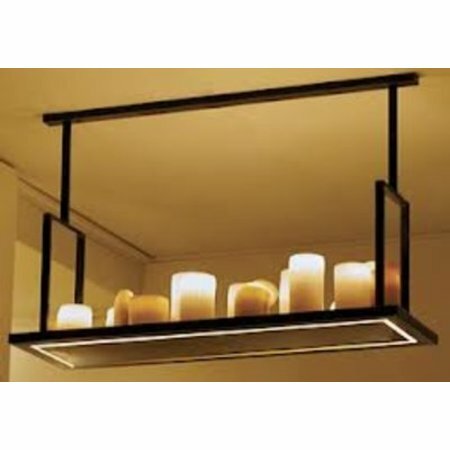 In addition that this pendant light design LED vintage white, bronze 14 candles is useful as rustic lighting, there are more reasons to order at My Planet LED. We guarantee a good after sales service. You will be informed about the status of your order. After payment, we treat your order. 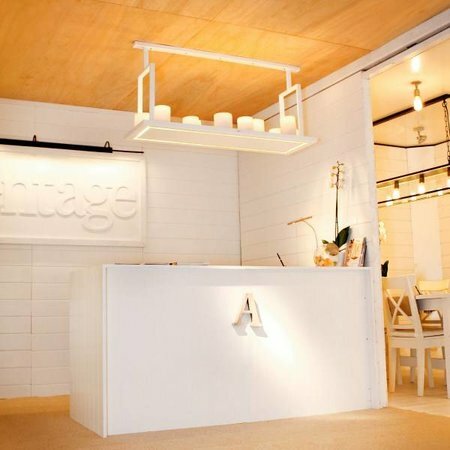 Once that the pendant light design LED vintage white, bronze 14 candles is in stock, we will inform you about your order. Do you have more questions? 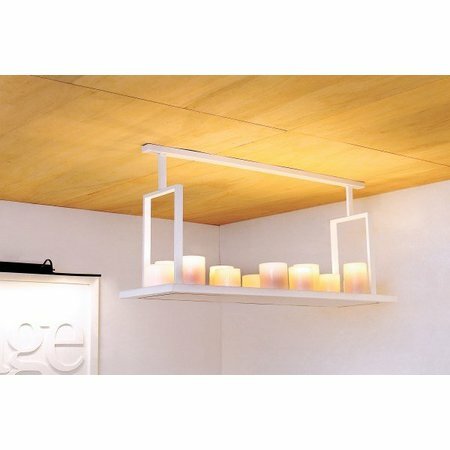 Contact us by phone (+32) 57 466 866 or by mail (info@myplanetled.com) in order to obtain more information about this pendant light design LED vintage white, bronze 14 candles.